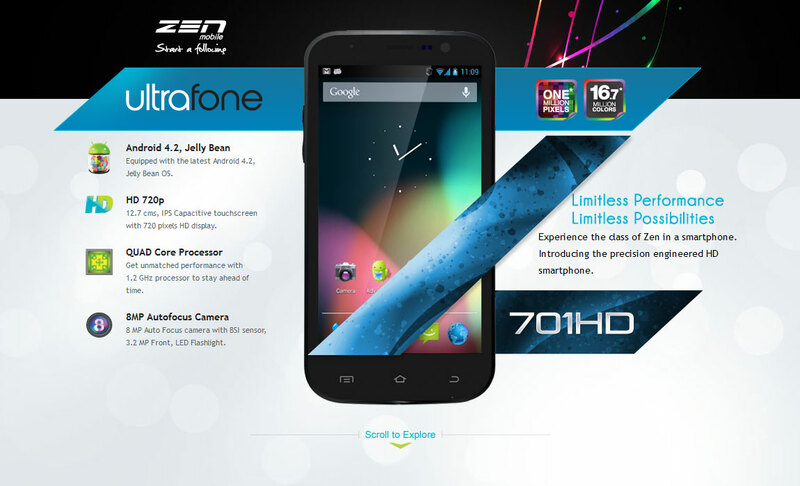 Decent Landing Page for Zen Mobile’s new Ultrafone 701HD with some bursts of color. Experience the class of Zen in a smartphone. Introducing the precision engineered HD smartphone.